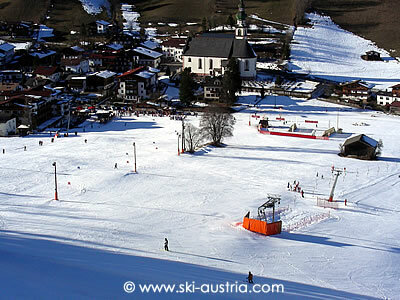 Niederau is the main ski resort in the valley, popular with school groups and those on late ski deals. 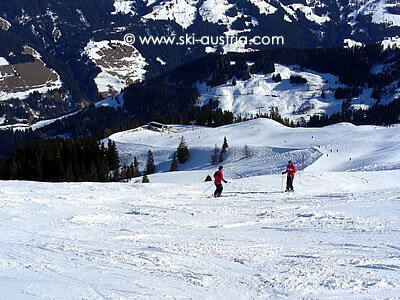 But the skiing in the Wildschönau is actually split up into three distinct areas, with options for all levels of ability. 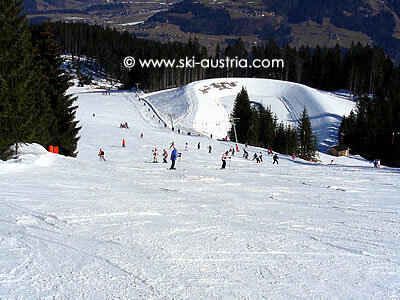 Auffach probably offers the best snow and conditions; Niederau the most accessible ski area; and Oberau a perfect set of gentle slopes suitable for beginners and which are close to a traditional Austrian farming village. 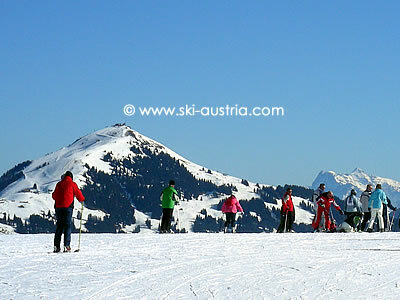 Niederau is a favourite spot for beginners and school groups and it's easy to see why. 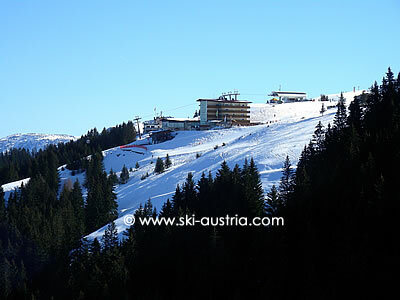 There is a welcoming and easy selection of gentle slopes served by no less than six draglifts at the base of the valley near the main road, allowing skiers who are just starting to practise their turns close to their accommodation. Heading up the mountain will, for most people, mean taking the Markbachjoch gondola to the top of the ridge and to some beautiful views out over the surrounding mountains. Off to the left are the Kropfraderjoch and Mittermoosjoch draglifts which serve easy intermediate runs. A long red or "black" run heads back down to the drags at the valley floor or the return via the gondola. Another option is the red run closer to the gondola, which joins onto the previous run about halfway down. 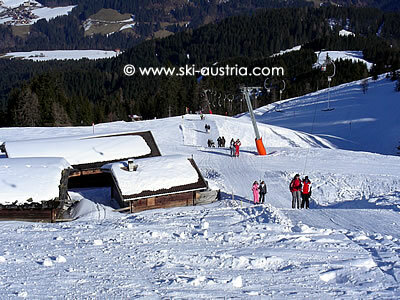 This also accesses two black ski routes which, if they are open, actually do deserve that label more than the marked black runs (which, as so often in Austria, appear just to be the harder red runs). 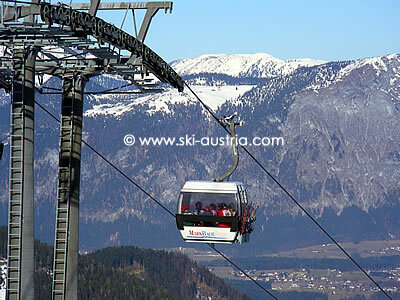 Off to the right from the top of the gondola is the area under the Lanerköpfl, which can either be reached by a "flat" blue run which involves some poling, or via the ancient Lanerköpfl single chair from the valley. The Gipfel draglift accesses yet another easy black run and the Anton-Graf Hütte at the base of it is a pleasant place for lunch. The black extends all the way to the valley floor (confident intermediates should have no problems with it). 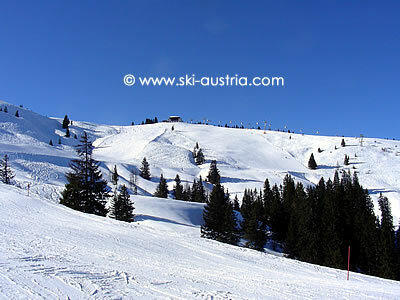 Looking for the best ski accommodation in the Wildschönau valley? Check hotels, guesthouses and apartments rated 'superb' or 'exceptional' by visitors who used hotel reservation website Booking.com. No reservation fees.. 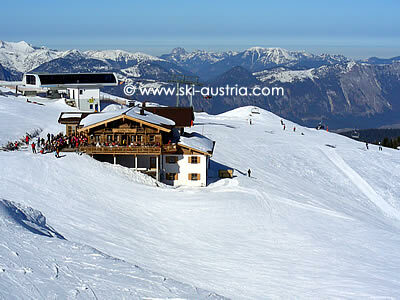 The live image stream below is taken from the top of the Markbachjoch gondola in Niederau.